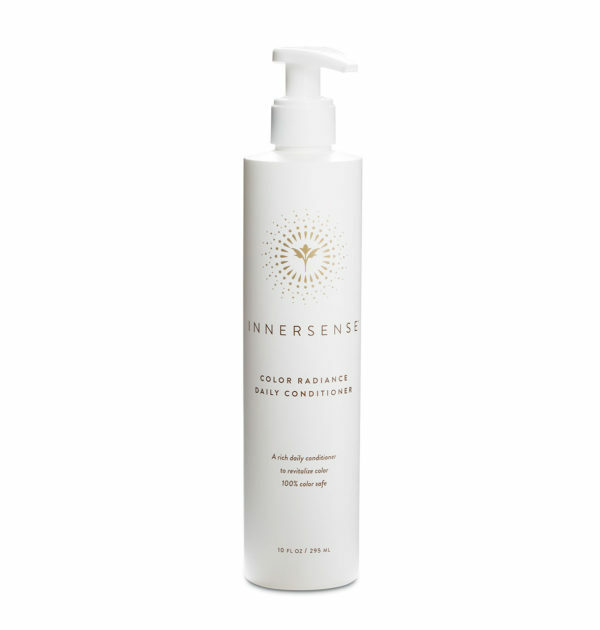 Naturally moisturize and strengthen your hair after every wash with this antioxidant-packed Color Radiance Daily Conditioner by Innersense Organic Beauty! Formulated with natural proteins, aromatic oils and flower essences, this calming conditioner is a must have for anyone that wants to truly improve or repair the condition of their hair! Not only does this soften and hydrate the hair, but the ingredients like Rooibos Tea and Orange Flower Oil also provide tremendous healing abilities to increase circulation ensuring a healthy scalp to match! To Use- After shampooing, apply conditioner throughout hair with fingertips or comb. Rinse thoroughly. Purified Water, Cetearyl Alcohol 1, Behentrimonium Methosulfate 2, Cetrimonium Chloride 8, Oryza Sativa (Rice) Bran Oil, Hydrolyzed Soy Protein **, Cetyl Esters 1, Avena Sativa (Oat) Kernel Extract ***, Citrus Aurantium Dulcis (Orange) Flower Oil **, Nelumbium Speciosum (Lotus) Flower Oil **, Cucurbita Pepo (Pumpkin) Seed Oil*, Helianthus Annuus Seed Extract 3, Aspalathus Linearis Extract 4**, Nelumbium Speciosum (Lotus) Flower Extract **, Butyrospermum Parkii (Shea Butter) **, Echinacea Angustifolia Extract 5**, Vaccinium Macrocarpon (Cranberry) Seed Oil **, Plumeria Alba Flower Extract 6, Eucalyptus Globulus Leaf Extract**, Cymbopogon Schoenanthus Extract 7 ***, Agropyron (Wheatgrass) Extract **, Rice Hulls, Glycerin 8, Guar Gum*, Gluconolactone Sodium Benzoate, Parfum Of Natural Oils. *- From Organically Grown Plants **- Certified Organic ***- Bio-Active. 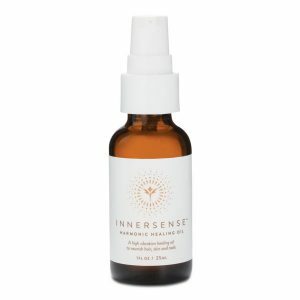 Source- 1 Mixed Plants, 2 Canola Oil, 3 Sunflower Seed Extract, 4 Rooibos (Red Bush) Tea, 5 Echinacea Flower Essence, 6 Frangipani, 7 Lemongrass, 8 Coconut. 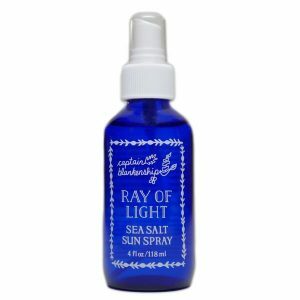 I love using this with the Pure Harmony shampoo because it’s the perfect balance for my hair type (thick and curly). I love how it smells and performs. It smells fresh and clean! Hair shines great with this! Love love this conditioner. It’s a small bottle but you never use a ton of conditioner. Just add from the middle to my ends and leaves hair shiny. I couldn’t believe how shiny my hair looks and I’m not damaging with toxic ingredients. great shampoo for colored hair. Doesn’t wash out and color lasts longer. Finally a clean conditioner that works! This conditioner leaves my hair feeling soft and manageable. Also, I’d like to think this is what heaven smells like, because yum! Leaves my hair so smooth and clean! The smell is to die for! As mentioned in other reviews, the scent of this conditioner is so fresh and floral! 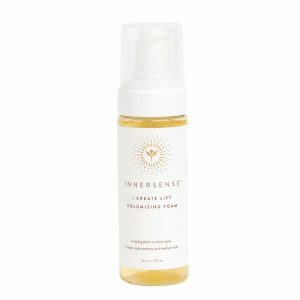 It leaves my hair soft and hydrated, something so important for color-treated hair. It keeps my ends healthy so I can go longer between trims, as well. I recommend this shampoo and conditioner duo to everyone I know! I use the shampoo, conditioner, leave in conditioner, and hair oil. I use the conditioner from the middle of my hair to my ends and comb it through. My hair feels awesome! FINALLY! 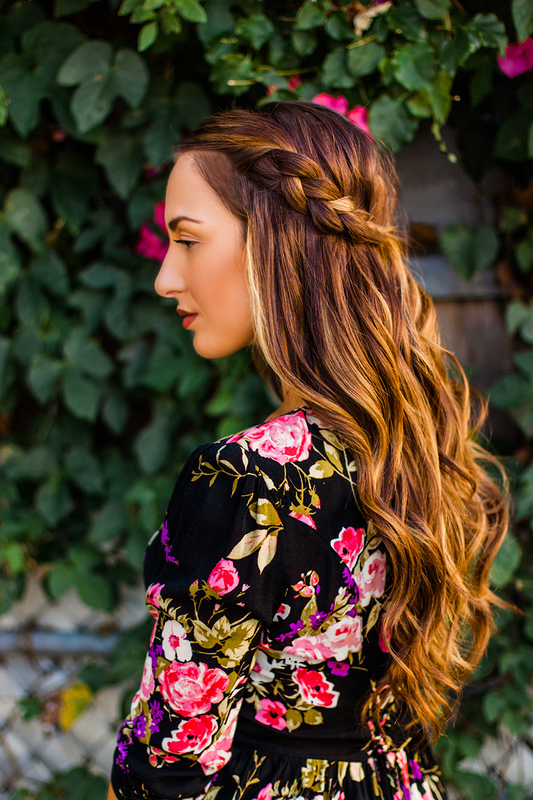 A clean conditioner for color-treated hair that actually works! I have very thick, long, straight hair that tends to get dry especially towards the ends. This conditioner combined with the leave-in conditioner leaves my hair feeling soft, manageable, shiny and HYDRATED. After just one use, my hair was noticeably more shiny and soft. With every use, it just keeps getting better! As other reviews mentioned, it smells amazing – clean and fresh, while still slightly feminine.